Innovative, ground-breaking, boundary-pushing - however you want to put it, the battery-driven Stiga E-Park Ride-On Lawnmower represents the future of domestic lawn-care! It employs the most advanced lithium-ion battery-technology ever developed and delivers uncompromising, petrol-matching performance with zero emissions and almost no noise. In addition, you’ll finally be free of the starting-hassle and maintenance-issues that inevitably accompany petrol-power. The Stiga E-Park 220 Electric Ride-On Lawnmower comes equipped with a 95cm forward-mounted cutter-deck that not only provides an unrivalled view of the cutting-path, but also makes it possible to access areas you’d struggle to cover with a conventional mid-deck machine. The deck can either mulch or rear-discharge clippings and features Stiga’s Quick Flip system, whereby it can be rapidly flipped up ready for cleaning or maintenance, no tools required. Thanks to its infinitely-variable foot-pedal operated hydrostatic drive and fully articulated steering, the Stiga E-Park 220 excels in terms of manoeuvrability and will come into its own on areas with trees and landscaping to navigate (a steering-wheel spinner contributes further to manoeuvrability). A cruise-control function means you can give your foot and ankle a rest during unbroken straight-line runs; while a high-resolution LCD colour display provides clear, easy-read information on all key park. Not just a mower, the versatile E-Park 220 comes with a hitch-kit that opens up the possibility of working with any of the many towed attachments. Further premium features include quick and easy electronic cutting-height adjustment; simple push-button blade-engagement; and wide-profile tyres for scuff-free traction. 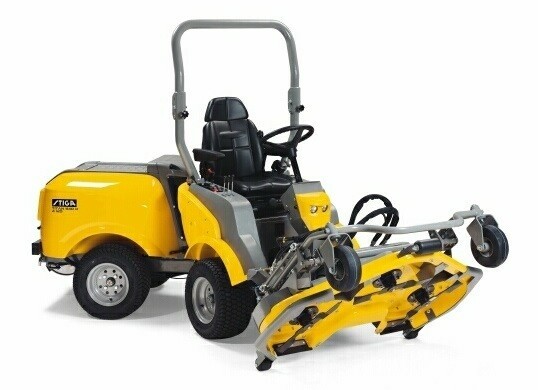 Key to its superior manoeuvrability its it narrow 72cm width-of-cut and smooth, infinitely-variable hydrostatic transmission; a combination that ensures you’ll have no trouble negotiating tight end-of-pass turns or undertaking close-quarters mowing around and between obstacles. It’s both collection- mulch-capable, so you can choose the most effective cutting-mode for the conditions you’re faced with; and it has a seven-position cutting-height for the creation of a ‘just so’ finish. 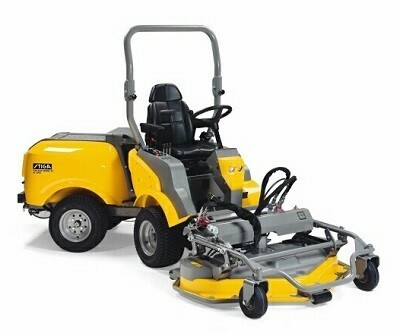 The Stiga Combi 3072 H Ride-On Mower comes driven by a 344cc Briggs & Stratton PowerBuilt 3130-Series engine that boasts a fuel-saving and emission-reducing overhead-valve design; and which employs the U.S. manufacturer’s anti-vibration technology so as to enhance durability and ensure a smooth, fatigue-free drive. Unusually for a ride-on mower, the Stiga 3072 H has been equipped with a headlight, so you’ll be able to work safely when visibility is poor. This model’s 72cm cutting-width and 170-litre grass-catcher make it suitable for areas up to 4000m2. Please note there will be a delivery charge depending on location. All our Stiga machinery are inspected assembled tested and ready to go by our qualified technicians. 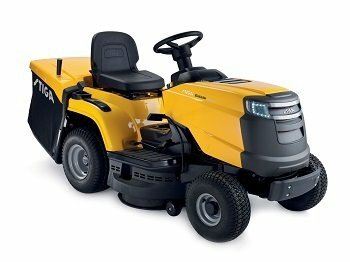 Built in Europe to exacting specifications and packed with practical and convenient features, this high-end lawn tractor from Stiga will impress even the most hardened domestic lawn-care enthusiast. Key to its exceptional performance in both bagging- and mulching-modes is its Contraflow mower-deck, which is fitted with two counter-rotating blades. The action of the blades creates a powerful airflow, which, in mulching-mode ensures clippings are held under the deck for longer so they’re more finely chopped; and in collection mode, blasts clippings at high velocity through the discharge-chute, in turn facilitating effective damp-weather bagging. 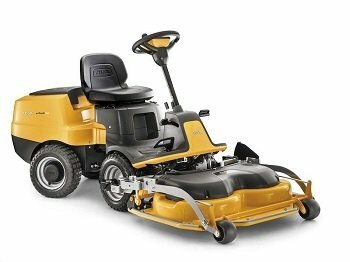 The Stiga Estate 5092 H Lawn Tractor comes equipped with a very high-performance 9kW Briggs & Stratton OHV Powerbuilt engine with electric key ignition for effortless starts; and a Dual-Clean™ air-filter with foam pre-cleaner for optimum component protection. B & S’s vibration-reduction measures (‘AVS’) minimise shock-transfer through the seat and steering-wheel so as to maximise driver-comfort. 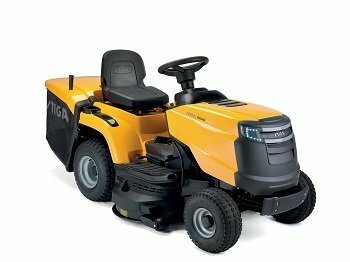 Featuring a pedal-controlled hydrostatic-drive, whereby you can adjust the ground-speed (forward and reverse) in infinite increments, the Stiga Estate 5092 H can be driven intuitively and is highly manoeuvrable for such a sizeable machine. 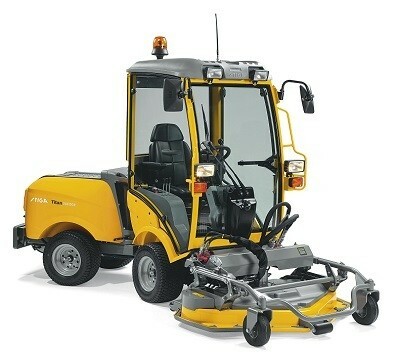 It offers seven preset blade-heights (25 – 80mm), so you can easily adapt to a change in conditions; and it’s supplied with an enormous 260-litre grass-catcher, which combines with a six-litre fuel-tank to ensure very large-scale jobs can be completed with few interruptions (a ‘collector full’ buzzer alerts you when capacity is reached). Stiga’s provision of twin-headlights means you’ll be able to carry-on working when the light’s not at its best; while their fitting of a contact-breaker under the driver’s seat works to enhance user-safety by cutting the engine (and blades) when no-one is at the helm. This 92cm model has a five-year homeowner-use warranty and has been developed for lawns up to around 6000m2 in area. From trusted Swedish brand Stiga, the well-equipped and simple-to-use Estate 3098H comes equipped with a large 98cm twin-bladed cutter-deck that will enable you to cover a lawn up to 6000m2 with impressive speed and efficiency. It might be a substantial machine, but it’s nevertheless highly manoeuvrable, with its super-responsive steering and infinitely-variable foot-pedal hydrostatic transmission facilitating intuitive obstacle-negotiation and making it easy to execute end-of-pass turns. The Stiga Estate 3098H Lawn Tractor is driven by a 500cc Briggs & Stratton PowerBuilt™ engine with a quality cartridge-type air-filter for superior component protection; and B & S’s AVS® anti-vibration system for smooth, low-wear operation. An OHV configuration works to cut noise, emissions and fuel-consumption; while a mechanical governor controls engine-speed so as to provide more useable power under heavy loads. Offering seven preset cutting-heights and both collection and mulch-capable, the Stiga Estate 3098H is a versatile machine that can be set-up to handle a range of grass- and weather-conditions (you can further enhance versatility with the purchase of the optional tow-bar). From-the-seat grassbag emptying saves time and effort; while an audible ‘bag full’ warning ensures you won’t overfill and block the discharge-chute. 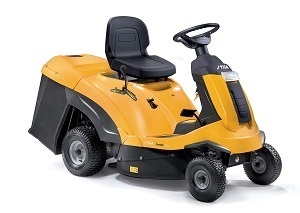 Fitted with large, wide-profile drive-tyres, the Stiga Estate 3098H will prove gentle on delicate formal lawns. It boasts powerful LED headlights for safe low-light mowing and towing; and it has an adjustable high-back for superior user-comfort, whatever your stature. Also featured is a deck-wash port for quick and easy removal of clumped clippings from the undercarriage; and a front-mounted bumper that protects the engine from impact. 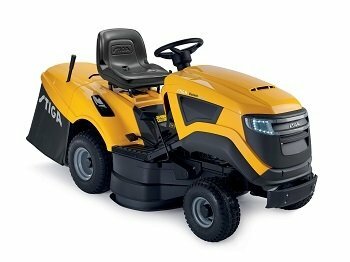 If you’re looking for a compact and agile lawn-tractor that can be manoeuvred with ease around trees and through narrow gateways, then the high-specification, European-engineered Stiga Estate 3084 H should be high on your list of potential purchases. Its impressive manoeuvrability is largely down to its hydrostatic-drive; a premium feature that works rather like the transmission on an automatic car, allowing you to control the forward and reverse speeds in infinite increments using a foot-pedal. Low-effort steering and a turning-radius of just 180cm further enhance manoeuvrability. 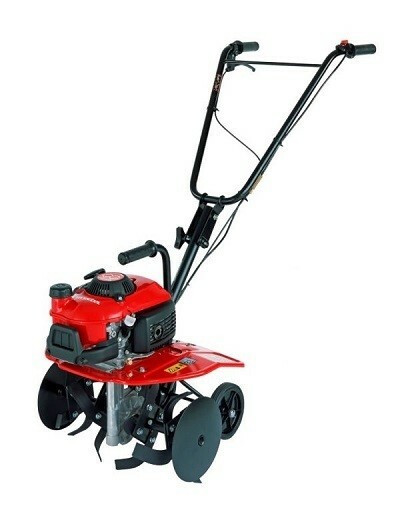 The Stiga Estate 3084 H Lawn-Tractor is equipped with a very high-powered Briggs & Stratton Powerbuilt engine that has a substantial 344cc cylinder-displacement, and which employs B & S’s anti-vibration technology for longer component-life and a less tiring ride. The engine’s advanced overhead-valve design leads to a significant reduction in sound-output; exhaust emissions; and fuel-costs; while the provision of electric key start works to ensure that achieving ignition couldn’t be easier. The 84cm-wide cutter-deck on the Stiga Estate 3084 H can be raised and lowered through seven stages for a ‘just so’ finish; and features a hosepipe fixture that makes cleaning the blades and under-deck area a doddle – just attach the hosepipe; turn on the water; spin the blades; and the job is done. Large-diameter drive wheels provide ample traction, while simultaneously being gentle on delicate surfaces; while powerful dual headlights make it possible to work safely when the light’s against you. Highly versatile, the Estate 3084 H offers collection; mulching; and rear-discharge as standard, thereby ensuring excellent results are achievable on everything from rough paddock-type areas, through to neat, well-maintained lawns. It’s supplied with a very high-volume 240-litre grassbag that can be emptied from the comfort of the driver’s seat, and which features an audible alarm that sounds when the catcher is at capacity, in turn reducing the likelihood of clumping and blockages. With its 84cm working-width and capacious six-litre fuel-tank make it perfectly suited to lawns (and rough-grass areas) up to 6000m2.